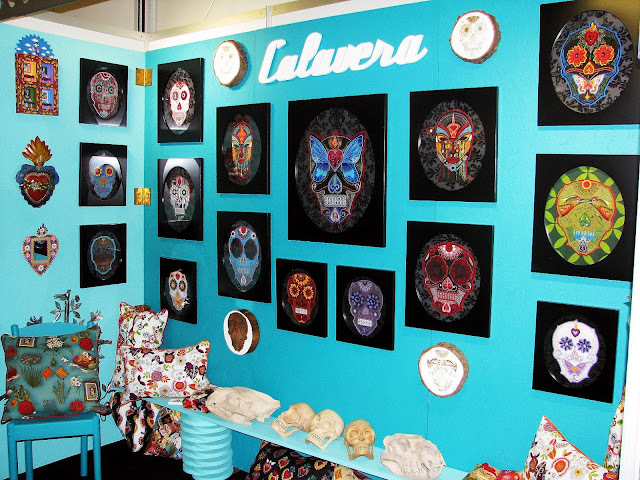 This past weekend Cape Town was buzzing with creativity and excitement as the Design Indaba took place at the CTICC. One of our favourite local designers, Nicola de Jager asked us to use some of products for her Calavera stand. Her striking hand embroided skulls are all one of a kind and you can't help but instantly fall in love with these beauties. 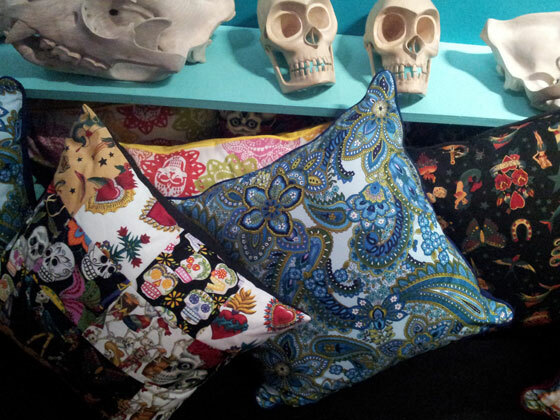 Better yet, teamed with our cushions, aprons and painted Mexican wall decorations, they're the perfect match. 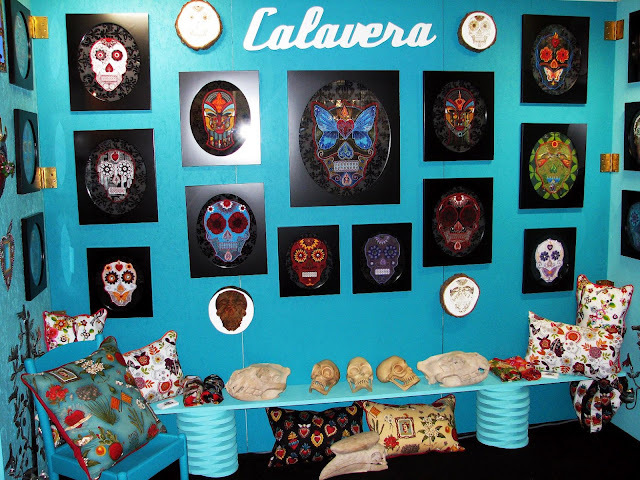 Calavera has evolved from a passionate love affair with art, bright colours and tattoos. Each piece begins once I have stitched up the eyes. I like to see it as a birthing process, there is no clear idea of what I would like each one to look like, once the eyes are in place they form a personality and so I choose the remaining colours, mouth and nose elements, etc. I use a combination of hand embroidery and beading. Every item is unique and produced entirely by hand. I am not a fan of mass production so time is not of the essence when producing each skull. 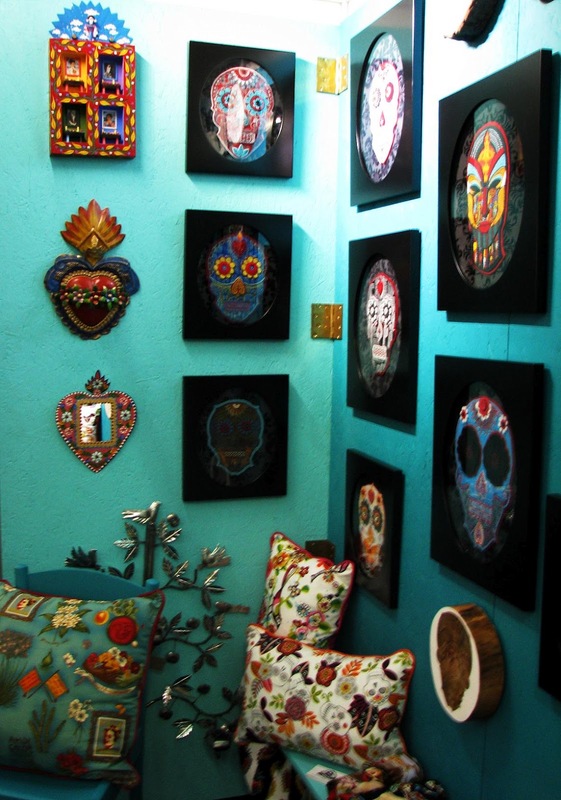 My inspiration comes from the collaboration of many elements: cultural significance, life and death, music, colour, tribal art. I would love to change society’s take on skulls being associated with dark and negative elements and instead for them to see them in a more positive light. 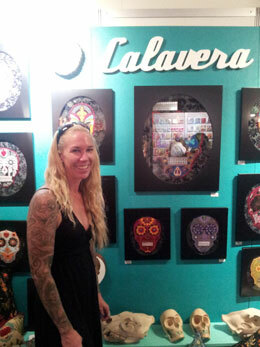 I embrace embroidery as an art form as there is something powerful about creating something so intimate. The use of thread as a medium and embroidering as the application grounds me and slows me down to become more aware and present. We are a gorgeous decor shop situated on Dunkley Sqaure, Gardens, Cape Town that imports all our things from South and Central America. A shopping experience not to be missed.